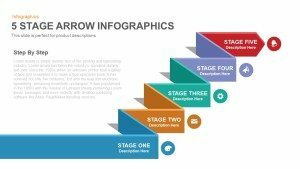 Design amazing presentation that meets the current presentation trends with our 4-section arrow infographic PowerPoint template. 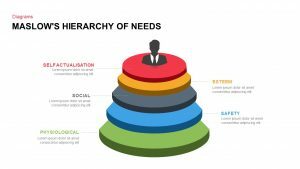 Nowadays you may have countered some wondrous presentation template. But our four-section arrow diagram is the exceptional one. 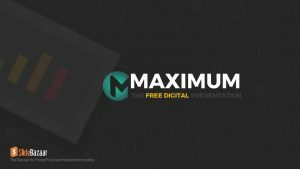 After carving several designs, our expert designers have come up with such a unique looking PowerPoint template. 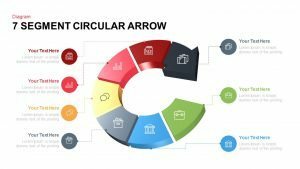 Our modern arrow diagram template is a conventional design. The design is crafted using several PowerPoint shapes. 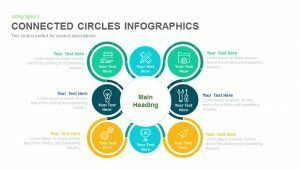 The central idea of the presentation can be shown in a circle shape. The circular shapes are adjoined with four rectangular shapes, and the rectangular text holders are wrapped to circular shapes using arrows. 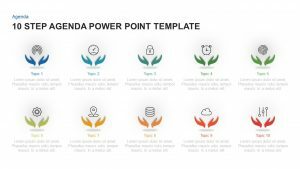 It’s the most creative and striking PowerPoint template, which will surely catch the eye-balls of the audience. Your creativity will surely get appreciated. 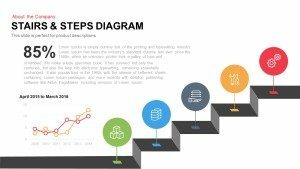 Our four-section infographic arrow PowerPoint template can be a perfect option for displaying four step methodologies, like SWOT analysis, strategic planning, risk management. 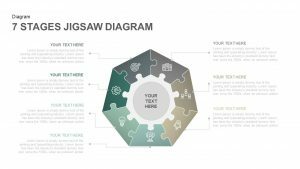 Each text holders are molded with interactive infographic icons and rich color palette which gives a professional touch to the template. 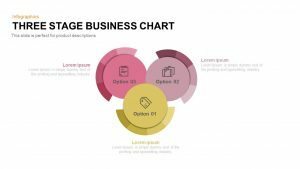 The bright color PowerPoint objects over the white and black background will surely bring your content in the limelight. 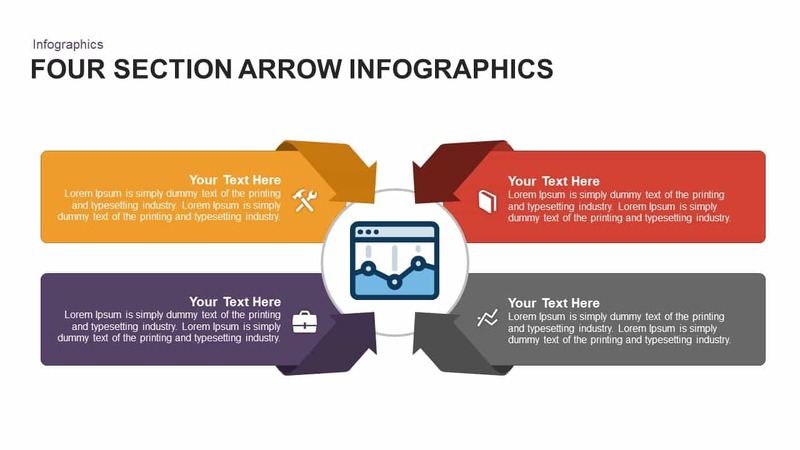 Our arrow diagram PowerPoint templates are designed seeing the rising needs of the presentation; our four-section arrow PowerPoint template makes it easy for the presenter to depict every set of crucial information to the audience. 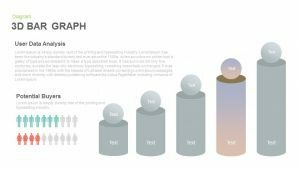 One can’t draft an impressive PowerPoint presentation with any visual graphics. 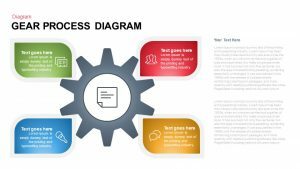 To help you in that our designers have crafted a perfect template which delivers your topic in an interesting and informative format. 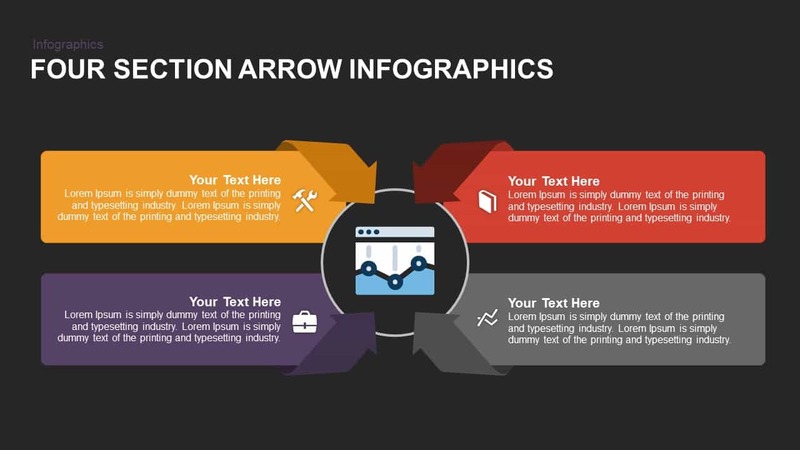 The incredible layout of our four-section infographic arrow template is fully customizable. It has multiple editing options which allow the user to make custom changes in color, style, size of the objects. 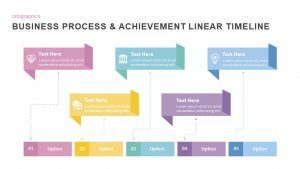 These arrow diagram templates are handy for several occasions. It doesn’t matter which sector you belong to. The audience would love to hear a presentation from you over again.